The Africa Hotel Investment Forum (AHIF) is the only annual hotel investment conference that connects business leaders from the international and local markets. 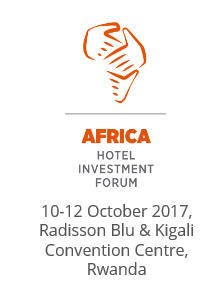 The event is attended by the highest calibre international hotel investors of any conference in Africa. It is the leading hotel investment conference that connects business leaders from the international and local markets, driving investment into tourism projects, infrastructure and hotel development across Africa. AHIF comprises of a comprehensive conference programme, including interviews with leading hoteliers, forecasts from top economists and panel discussions on the latest developments, trends and best practice in the hotel and investment industry. As well as an impressive line-up of speakers, AHIF offers superb networking opportunities. Our CEO, Mark Martinovic will be moderating the Development Den at 14:45 on Tuesday 10 October.